Human evolution has always been a controversial issue in America. 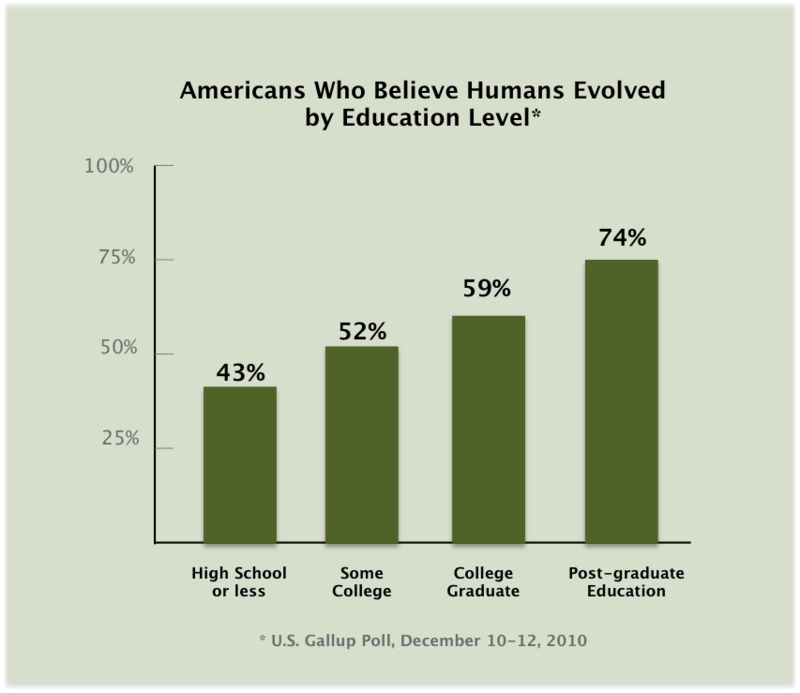 Polls consistently show that approximately half of Americans do not believe humans evolved from other species, but were created by God in their present form within the last 10,000 years. This low level of acceptance of what is the single most important concept in the biological sciences is surprising given the United States is the most technologically and scientifically advanced country in the world. Second, there is no European equivalent of the American Christian fundamentalist movement. Most European Protestants read Genesis metaphorically, not literally, and do not find evolution incompatible with their religious beliefs. Understanding evolution is critical in the 21st century because evolutionary concepts are relevant to many of today’s most pressing issues, from environmental problems to medical breakthroughs, from agricultural productivity to endangered species. Hungry Birds is intended to supplement formal education with a game-based experience that demonstrates a key evolutionary principle in the museum and science center spaces. 2. Pew Research, July 9, 2009. See: http://www.people-press.org/2009/07/09/section-5-evolution-climate-change-and-other-issues. 3. Science Magazine, August 2006. See: http://www.sciencemag.org/content/313/5788/765.summary?sid=863f0c51-f12e-4e5b-ae9c-c03f3fd0bb50. 4. Harris Poll, 2006. See: http://www.harrisinteractive.com/NEWS/allnewsbydate.asp?NewsID=1130. 5. U.S. Gallup Poll, June 2007. See: http://www.gallup.com/poll/27847/majority-republicans-doubt-theory-evolution.aspx. 6. U.S. Census Data. 30% of American adults over the age of 25 have a Bachelors degree. 87.5% are high school graduates. See: http://www.census.gov/hhes/socdemo/education/data/cps/2012/tables.html.